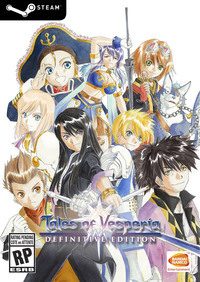 Tales of Vesperia: Definitive Edition is a pretty great re-release of an older game. However, with that age of the original release comes a few weird reversions of some quality-of-life updates that have been added in later games. For instance, while 2017's Tales of Berseria allows the player to swap characters in by default, and even allows for swapping in reserve party members with a few button presses, players returning to Vesperia might be confused to find that this functionality is oddly missing. From the outset of Vesperia, you'll be able to swap characters manually by rearranging their portraits on the menu screen. This doesn't help much, however, if you want to swap in the midst of a fight, which can be useful for completing secret missions or earning certain titles. 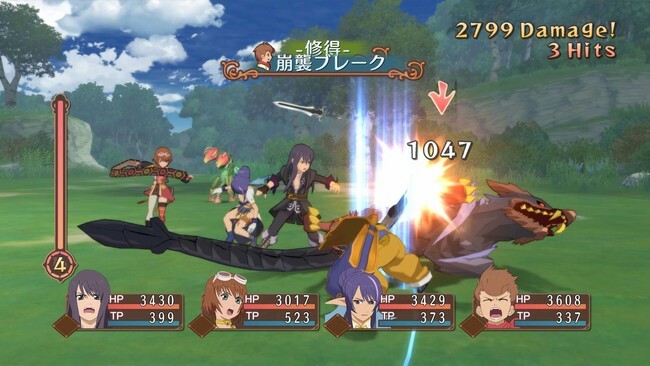 However, switching characters in battle in Vesperia is indeed possible, you just need a synthesis item to do it. Luckily, it's pretty easy to get, especially in the definitive edition. The item in question is the Moon Selector. With this item in your possession, you'll be able to swap to any character in the active battle party simply by pressing Y/Triangle mid-fight, as if you were going to use an item, and then pressing start to cycle through the characters. Note that you can't swap to any character set to Manual or Semi-Automatic in this manner. The Moon Selector is a synthesis item. Simply go to any shop's synthesis menu, and you'll see it listed in the key items category. It's a relatively simple item to put together requiring 1x Red lens and 3x Insect Horns. You should be able to make it by the time you reach Nordopolica for the first time. Red Lens are dropped from the assassin type enemies that can be found near the Manor of the Wicked, and you can fight them on the world map near it to the northwest of Dahngrest even before you can enter it. Insect Horns can be dropped by Beetles in Keiv Moc. If you want to get the Moon Selector early, however, you can use the included DLC to pretty much get the necessary materials straight away. With the 'Adventurer's Starter Pack', specifically the 'Pack o' Useful Stuff' in the <Extra Items> section of your menu, you'll be able to get the necessary synthesis materials right away. Then just visit the nearest available shop and create the Moon Selector.